The MOEA will offer developers securing power purchase agreements (PPAs) this year a flat rate of TWD 5,516/MWh ($178.83/MWh) for 20 years or a tiered tariff. Under the tiered tariff, developers would receive TWD 6,279.50/MWh ($203.59/MWh) for the first ten years, and then TWD 4,142.20/MWh ($134.29/MWh) for the following ten years. and 50% of the tariff for production above 4,500 annual full-load hours. The TWD 5,516/MWh 20-year rate is 6% below the TWD 5,849/MWh ($189.63/MWh) granted to developers securing PPAs in 2018, but 8% above the 2019 tariff of TWD 5,106/MWh ($165.54/MWh) the MOEA initially proposed in November. The apparent compromise comes after a two-month consultation and after developers expressed concerns about the economic viability of their projects at a lower rate. Developers had scrambled to meet a 2 January deadline to sign power deals with Taiwanese utility Taipower and secure the more valuable 2018 tariff. 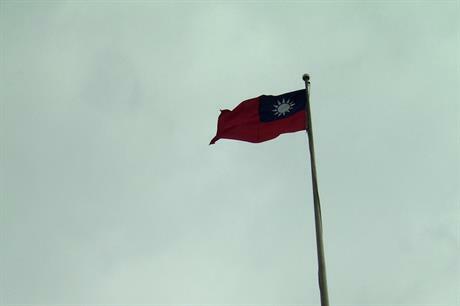 After failing to secure the higher rate, Ørsted halted project development in Taiwan, while Northland Power and Yushan Energy vowed to push for a new tariff that reflected the high costs of establishing an offshore wind industry in a new market. Following confirmation of the 2019 feed-in tariff, Ørsted continued to express concerns about the economic viability of its Greater Changhua projects off Taiwan’s north-west coast, but announced a renewal of project development. It has since announced that it has secured an establishment permit for the projects. The Danish company stated its board of directors will review and decide on the final investment case once it has "clarity on the outcome of supply contract negotiations and relevant project milestones being achieved in time". Ørsted’s executive CEO for offshore wind, Martin Neubert, added the production cap would have a "material adverse impact" on developers, as it punishes optimal wind farm performance. "We will now collaborate closely with the supply chain to mitigate the adverse impacts from the production cap and the reduced feed-in tariff with the objective of making the profits investable," he said. Meanwhile, the Global Wind Energy Council (GWEC) warned Taiwan's authorities that retroactive cuts can cause problems such as promised production and assembly hubs not being built and anticipated jobs not being created. GWEC said it "welcomed the move" to revise the prices, but suggested it would not guarantee developers viable projects. Ben Backwell, CEO, said the trade body was "cautiously optimistic" following the announcement. "We are pleased that the government has listened to the views and evidence presented by GWEC and the industry since the changes were announced late last year. "We note that the changes still include both a 6% tariff reduction and an introduction of a cap on annual full-load hours, which has a negative impact on projects by dis-incentivising the most efficient and optimised technology and wind farm design. "GWEC has argued for the complete removal of the proposed load hours cap. "However, we are now cautiously optimistic that the industry can proceed to bring its projects to financial close. "There is much to do, and in particular creating a viable and cost efficient supply chain will constitute a significant challenge. "But GWEC believes that working together and avoiding any further unhelpful changes, the wind industry, local supply chain and authorities will be able to create a strong and successful offshore wind sector in Taiwan," Backwell added. GWEC is hosting its inaugural Global Offshore Wind Summit in Taipei on 24-25 April. Edgare Kerkwijk, a board member of the Asia Wind Energy Association told Windpower Monthly, the revised tariffs gave "breathing space" to offshore wind developers in Taiwan. "The government has shown that they are ready to listen to the offshore industry and has walked back from their first proposal. "It is a good sign that the ladder has been reintroduced, which will make financing easier for the projects, but they also reduced the first ten years heavily and pay higher the last ten years compared to 2018 FIT scheme," he said. The impact of the production cap also remains to be seen, Kerkwijk added. "That might still pose risk for the financial models and risk assumption especially for the further outlying offshore projects," he said. "The reduced FIT of TWD 5,561/MWh will probably mean very painful cuts for the local industry, which now already needs to start to cost-down while having already started to invest. "We will see more discussions and negotiation on localisation the coming weeks and months. "The finalising of the FITs will allow the developers to concentrate on the outstanding permits from Changhua County and Taoyuan." Alex Wong, infrastructure, energy, resources and projects partner at law firm Hogan Lovells described the revised, final tariff as a "substantial improvement" on the proposed rate in December. He added: "I believe the FIT regime is still sufficiently robust to keep investors interested. "Taiwan is one of the most advanced offshore wind markets in east Asia and the government is committed to the policy and the economic benefits it will bring to Taiwan. "This is a win-win scenario for both investors and Taiwan and so long as they continue to find the right balance in that relationship." However, Wong added that while economic viability will vary from project-to-project, "a lower tariff plus a sliding scale production cap for the FIT means that, at the very least, margins will be squeezed".